The summer season always brings us something to celebrate about. Just like what they say, summer is that perfect time of the year when we go barefoot and our hearts become just as free. 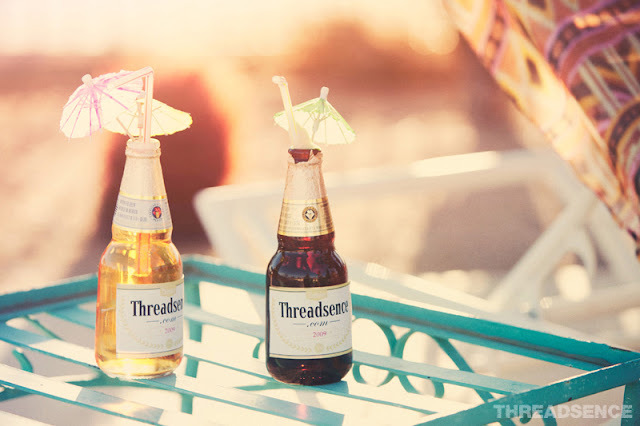 And this Threadsence's Souls of Mischief campaign captures that same happy summer sprit best. This is what summer is all about: fun, laidback, and free. I love that skirt in the last photograph! It's so cute. I like Spring and some of Summer.Sometimes it just gets too hot for me! :P But Spring and Fall tend to be my favorites. if it will make you feel better, it even hits 50 here. haha! i have never experienced fall since i used to live in the tropics and now settled here in the desert. but judging from photos and my friends' stories, fall has got to be one of the most beautiful seasons.